Digital Extremes will be releasing Warframe’s new expansion, Fortuna, this week for PC and later this month for consoles. The popular free-to-play title will be adding a new area, a mode of transportation, more gun building, advancements to resource collecting, new MOA Companions, and additional story content. Warframe is an online game that puts players in the shoes of the legendary Tenno warriors. These futuristic, ninja fighters must fend off countless hordes of the Grineer. In the Fortuna expansion, the Tenno enter the underground city where the Solaris reside. This group is under the constant threat of “cybernetic limb and organ removal” from their creditors. The Tenno will join their resistance in order to unshackle their society. Fortuna will introduce players to the K-Drive Hoverboard, a skateboard-like mode of transportation that can be customized and upgraded with a variety of Mods. Players will also now have the opportunity to design and build Secondary Weapons to better fit a certain play style. Parts can be purchased at Rude Zuud’s shop and aesthetics will be available in game. The expansion will allow players to mine and fish in new ways. The Sunpoint Plasma Drill can be purchased to target the “sweet spots” of mineral deposits. Fishing is expanded upon with a new electrified spear used to catch robotic Servofish found in bodies of water that can be sold for parts. New enemies from The Corpus hold the Solaris under their treacherous thumb. Find their facilities in the area of Orb Vallis on Venus. This snowstorm-plagued area is barren and the host to giant mushrooms in the landscape. Bases around Orb Vallis can be captured, which will spawn an agent that will offer an endless amount of new bounties to supplement your exploration of the planet’s new zone. They will lead players into underground cave networks where the new mining tool will be used for gathering. Warframe: Fortuna launches on PC this week and the website specifies that it is “coming soon to consoles,” which has been rumored to be later this month. 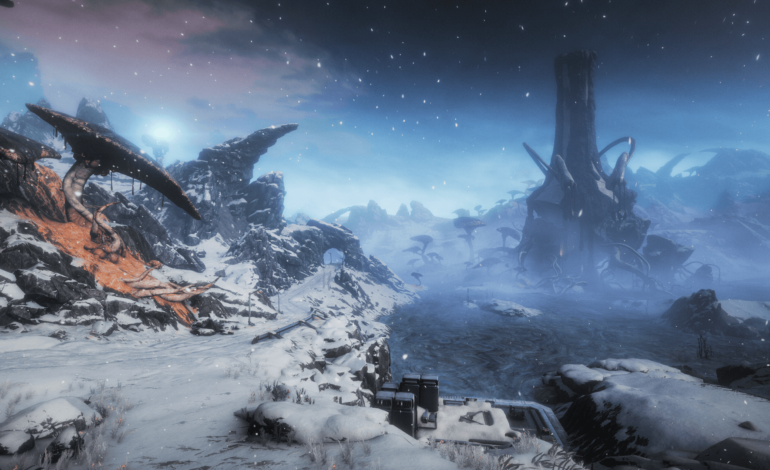 Check out our previous article talking more about additional expansions to Warframe.